Mankind battles giant monsters in the title region. When a rift appears in the Pacific Ocean, giant monsters, which come to be known as Kaiju, are unleashed, wreaking havoc in the region. The nations of the world put aside their differences to develop Jaegers, giant metal suits operated by two pilots through a mental bond known as "the drift". Seven years into "the Kaiju war", Jaeger pilot Raleigh Becket (Hunnam) loses his brother and co-pilot in a confrontation with a Kaiju and spends the following five years working on the futile construction of a giant protective wall on the western US seaboard. 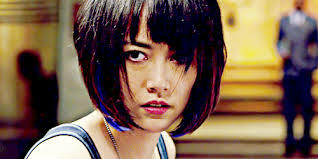 When his Marshall, Stacker (Elba), shows up asking for his help, Becket finds himself paired up with a new co-pilot, Mako (Kikuchi), a young woman with a troubled past. The phrase "Kaiju" comes from Japanese pop culture, referring to the genre of men in rubber monster suits that was borne from the success of 1954's 'Gojira', or 'Godzilla' as western audiences know it. While that movie delivered the primal thrill of seeing a huge beast wreak havoc on a major city, it also served as an allegory for the nuclear attacks on Hiroshima and Nagasaki, still fresh in Japanese minds at the time. One of the best movies of recent times is Gareth Edwards' under-appreciated 2010 'Monsters', a low budget gem that used the concept of an invasion by giant monsters to comment on the relationship between the US and Latin America. 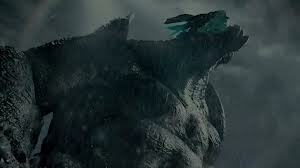 The lofty ideas of both movies can of course be ignored and the films will still work as great monster movies. 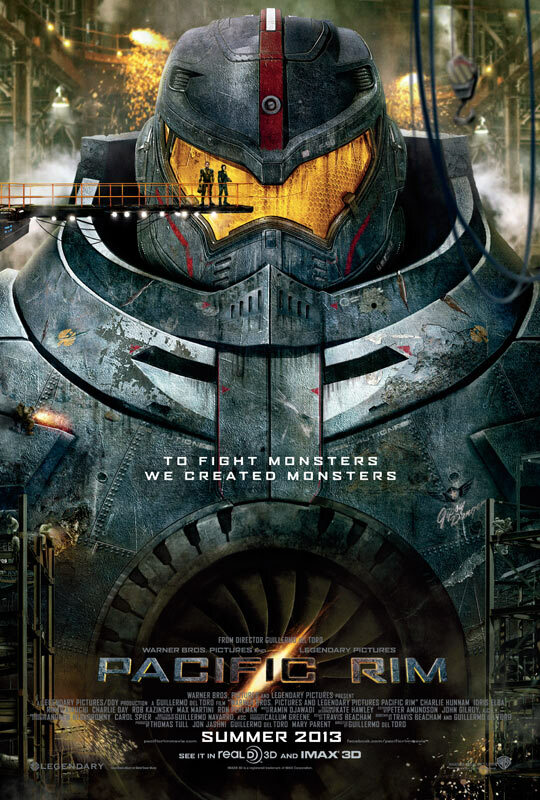 'Pacific Rim' dispenses with any such allegories, promising us no more than the fun of seeing giant robots (or 'Mecha') wrestling giant monsters, which is perfectly fine. Sadly, del Toro doesn't even deliver on that simple promise. The problem lies primarily with the script, penned by del Toro and co-writer Travis Beacham, one of the scribes responsible for the awful 'Clash of the Titans' remake. Neither men seem familiar with the basics of storytelling, certainly not cinematic storytelling. The first sign we're in for trouble comes in the form of an expository voiceover from Becket, filling us in on the premise of the movie but never quite explaining the advantages of the Jaeger over traditional weaponry like say, bomber jets. Things get worse as the film progresses, del Toro and Beacham writing themselves into corners and leaving sub-plots hanging. "Chekhov's Gun" might sound like a lost 'Star Trek' episode but it's a basic rule taught in every writing class that roughly means you shouldn't introduce plot elements unless you plan to make use of them. The death of the lead character's brother in the opening scene is pointless as it never shapes Becket's motives at any later point. Likewise Mako's attraction towards Becket. With the two having to mentally bond, it's a perfect opportunity to inject some human drama as Mako tries to hide her feelings but del Toro and Beacham do nothing with this idea, wasting the one opportunity for a piece of humanity in this mechanical movie. "Who cares about the characters?" 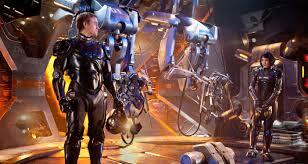 you may ask, "I just wanna see monsters fighting robots!" Well, sadly, del Toro can't even get this right. It feels like an age before we get to the movie's main set-pieces and it's completely underwhelming when we do. For some baffling reason, all the fights take place at night, in the pouring rain, and on the ocean floor. As if this didn't obscure things enough, del Toro shoots it all in tight close-ups, robbing us of any sense of scale. Add in shakey-cam and quick cuts and it's impossible to become invested in these scenes. Ironically, the movie's only impressive moments come in brief glimpses of news footage on background TV screens, allowing us to see the monsters in broad daylight. A flashback sequence homaging 'Schindler's List' gives us an all too brief glimpse of the movie del Toro could have made, one with humans in believable jeopardy and monsters we can actually see. For the bulk of the film, however, you could be forgiven for thinking this was another Michael Bay or Peter Berg monstrosity. The creatures may be named after the famous villains of Japan's Toho studios, but visually they're completely generic and wouldn't look out of place in Peter Jackson's Tolkien movies. Once again we've been had by a Hollywood system that feels a big concept is all that's required to placate us popcorn-munching human cash dispensers. Like most of today's so-called "big" summer movies, the whole affair feels like a giant waste. A waste of a fun concept, of millions of dollars, of the talents of countless technicians, and of the viewer's time. He may have always wanted to give us a movie about giant monsters but del Toro has delivered one giant turkey.